Style is constantly changing and evolving. As it transforms over time barriers like gender begin to fall away. You might think that the tuxedo look is just for men, but this is no longer the case. One of the biggest trends in fashion right now is the women’s tuxedo. This is a look that women of all ages and sizes can pull off. It is meant to be both sophisticated and trendy at the same time. 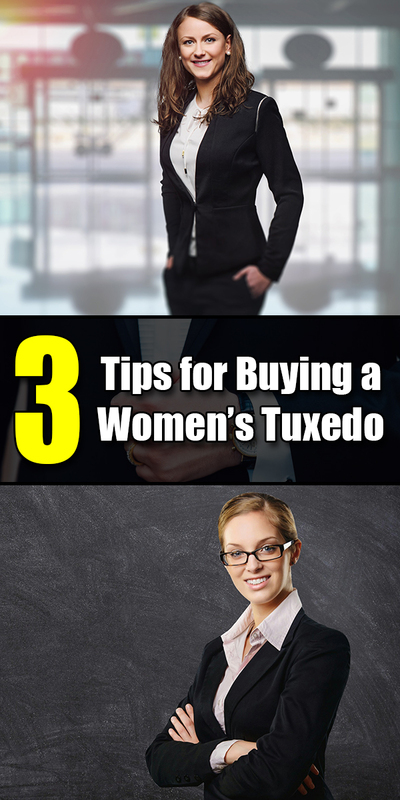 If you are looking to join in on this new fashion trend, you need to learn about the tips designed to help you pull off the women’s tuxedo look. One of the things that you need to know when buying a women’s tuxedo is that this fashion item is a blank slate. It is pretty plain on its own, but it is possible to dress up or down your tuxedo look by the accessories that you choose. You can opt for sparkly heels and a scarf to make more of a fashion statement. Since you can transform your Look by the accessories that you choose, it is possible to wear the tuxedo style over and over again for a number of many occasions. One trend that many women are joining in on involves wearing a tuxedo to their engagement party. It is a classy look that is really stylish and comfortable. Another thing that you need to think about when you are looking to invest in a women’s tuxedo for your wardrobe is the fit that you desire most. You can really change the look by choosing a different fit. One of the most popular fits in women’s tuxedo is the boho style. This is when the pants are mid ankle length and the dress coat is shorter and slim fitted in style. It gives the tuxedo look more of a feminine touch. Make sure that you are aware of the different fit options when you are looking to buy a tuxedo. Since you are already taking a new twist on an old trend with a tuxedo for a woman, you can also opt for something different with the color. This means you do not have to go with the same old boring black color option. You can choose a tuxedo that is in a more unique color like a dark blue or even a slate grey. This will allow for a different look and will help you to create a more personal style that is different than traditional. If you are a woman that is looking for a new fashion trend to get in on, it might be time that you thought about inverting in a women’s tuxedo. This is a style option that you can get a lot of use out of. You can dress it up or down depending on the occasion and it is a stylish item for any wardrobe.